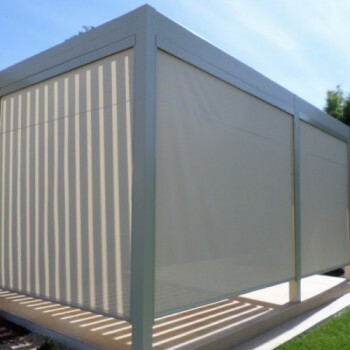 To admire the rising or setting sun without being dazzled, or simply to shield yourself from a gentle breeze, opt for one of our design closing solutions: the zip blind. Acquaint yourself with the blind’s characteristics, and enjoy living outdoors while relaxing in all the comfort of a room in your house. Are you having trouble deciding between standard or tailor-made sizes? 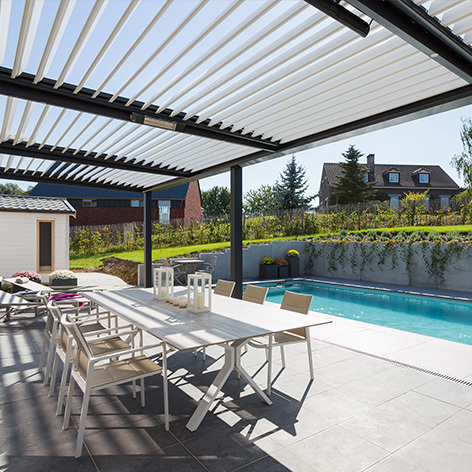 Find the best compromise and the pergola most suited to your home. 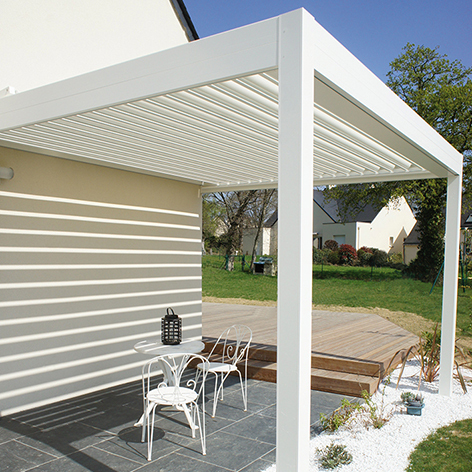 Contact us for advice, to examine your patio coverage plan or to obtain a quote. 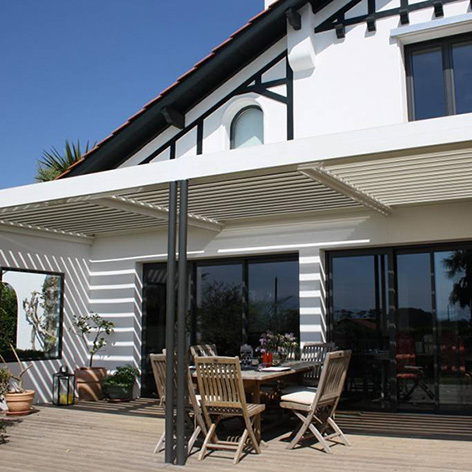 As a pergola is a new “Outdoor living” space, it is important to equip it properly with suitable options and accessories. Zip blinds, glass walls, LED lighting, heating… explore and choose the elements that will enable you to enjoy your facility more often.